With the fourth of July literally around the corner, I wanted to share a festive, refreshing, light salad that anyone can make for their party guests. It’s ridiculously simple, and very tasty. If you’re the one going to a party, bring this dish and watch how quickly it disappears. The lemon zest really brings out the flavor in one of my all time favorite ingredients, goat cheese. I used a full loaf of goat cheese (as to save half for later…as a snack. I really do love the stuff! ), and then crumbled. Feel free to buy already crumbled to speed up the recipe building process. 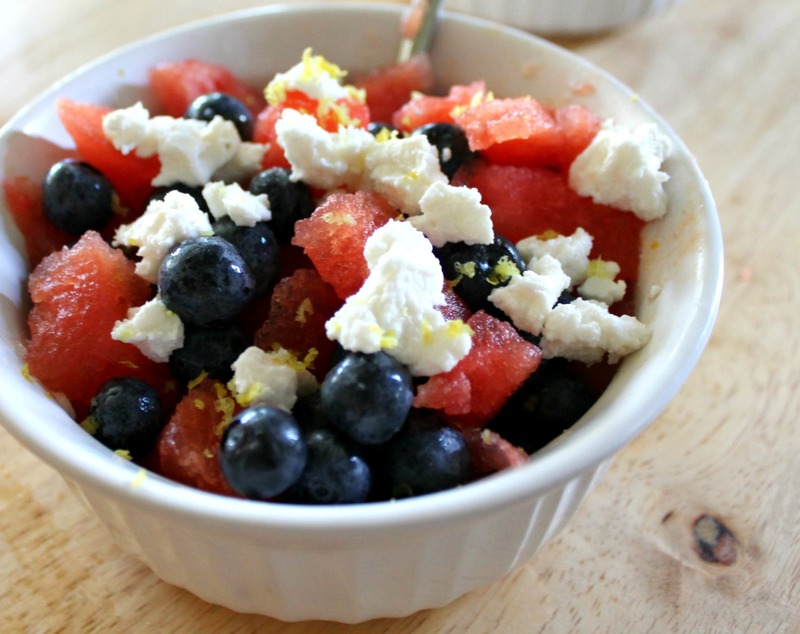 In a mixing bowl add diced watermelon, blueberries and goat cheese. 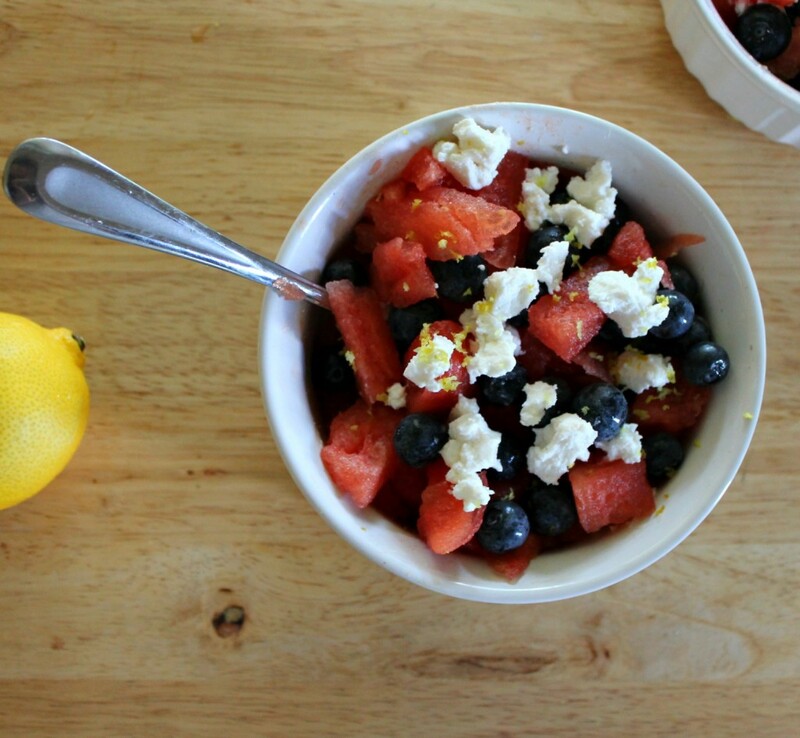 Gently mix all ingredients and zest the rind of one lemon over your colorful (and tasty!) fruit salad. Interested in one of my other recipes? You might like this simple classic margarita. 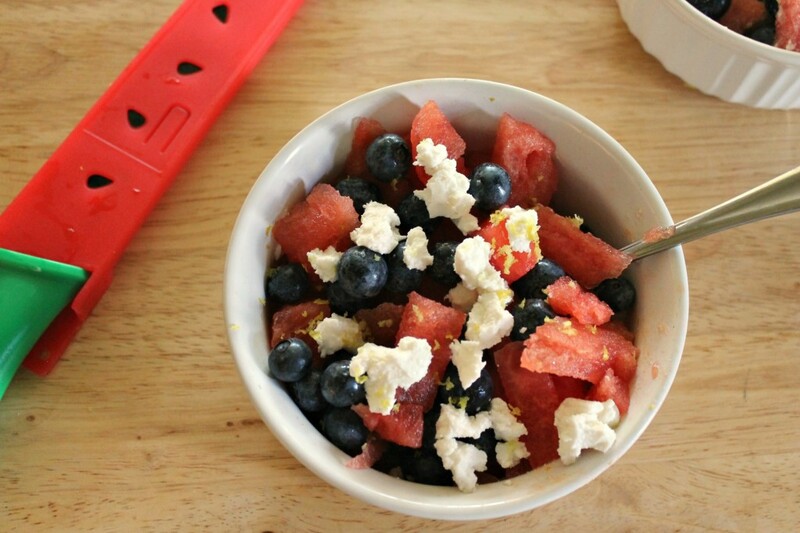 The post A Red, White & Blue Watermelon Goat Cheese Salad appeared first on The Flair Exchange®.